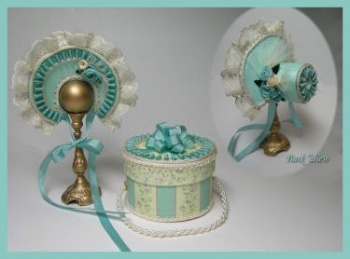 This project creates a beautiful regency era bonnet. In lovely aqua silk, the bonnet features lace, roses, and tiny pleated ribbon trim. A coordinating hatbox completes the ensemble.